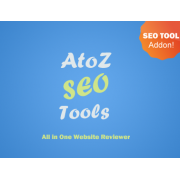 Start your SEO business where a customer must pay a subscription price to have access to the A to Z SEO Tools. 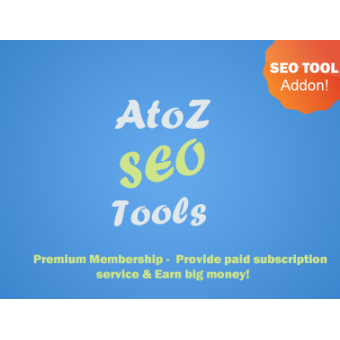 Using this addon you can earn big money by offering SEO Services. Multiple Currencies allow you to invoice and bill your customers in as many different currencies as you want. Tax Support allows both custom taxation rule and country based tax. Even, tax have fixed or percentage rate. 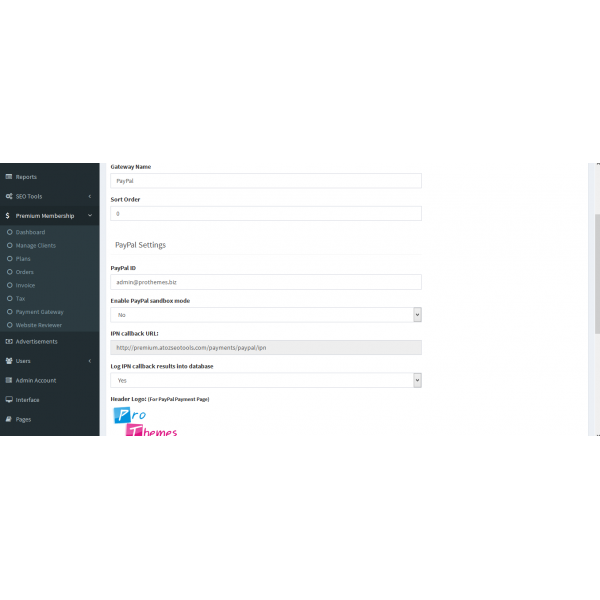 Multiple Payment Gateways Inbuilt PayPal & Skrill payment gateway included. You can also integrate other payment system with fully automated payment processing, payment confirmations & refunds. One Time & Recurring Billing You can perform both one time billing & regular billing cycle. Regular Billing includes Monthly, 3 Months, 6 Months & Yearly Cycles. Automated Reminders Reminders are sent both before invoice due dates, as well as after in the form of overdue notices chasing up late payments automatically. 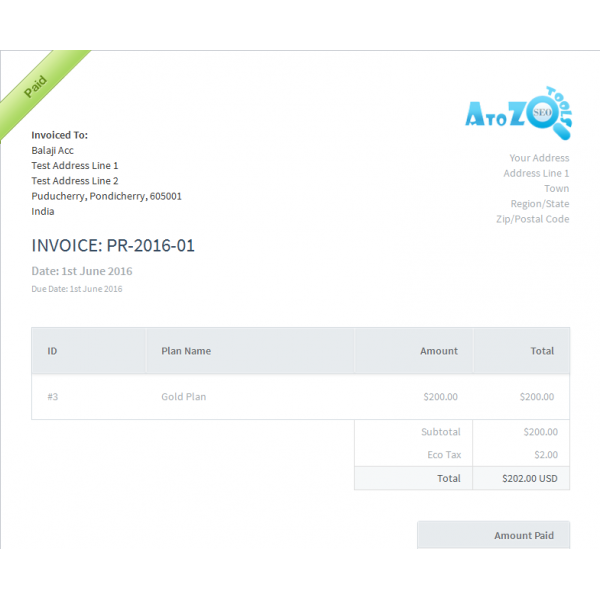 Professional Invoices A professional, good-looking invoice that's easy to fill out and present to your clients. 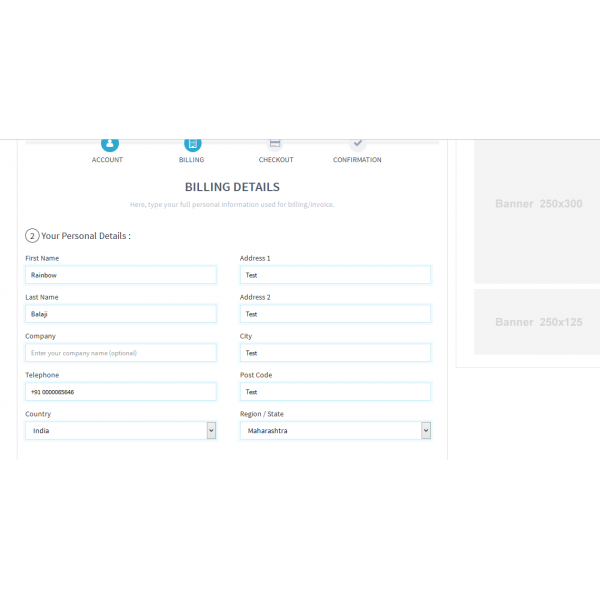 Plus invoices are fully customisable via templates. Automatic Payment Processing Script have ability to process payments automatically with all details recorded. No additional effort to keep track of your payments. Automated Termination can be set to remove user accounts should they become delinquent for a specified amount of time. 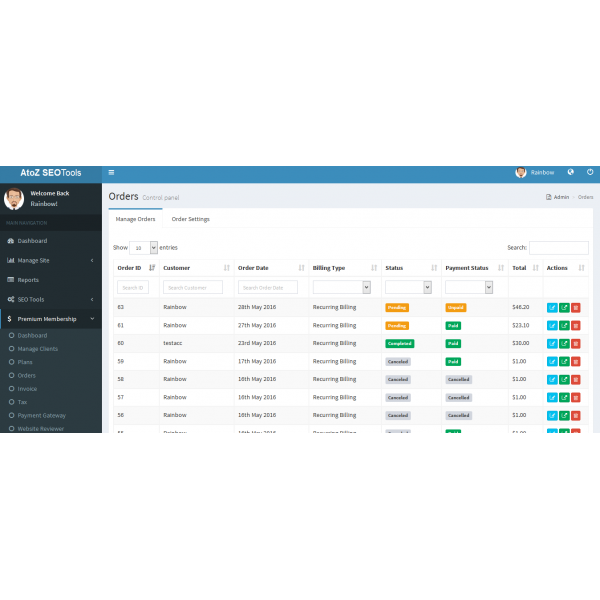 Fraud Prevention Integrated Fraud Checking gives you peace of mind and block all risk orders. Transactions Logging Each payment received and allows you to see exactly how much you’ve earned today. Detailed Logs are kept for every action performed by the system and clients. you can review at admin panel. Note: Make sure you have purchased A to Z SEO Tools (main script) before purchase this. Premium Membership Addon does not include any SEO Tools.